Making literacy a family affair has long been a goal of the volunteer members of the Junior League of Denver (JLD), but making reading fun is a key factor in a young learner’s success. Since 2000, JLD volunteers have teamed up with local schools to encourage reading while making it fun. Through this program, we help make life-long literacy a reality in the lives of thousands of children and families across Metro Denver. 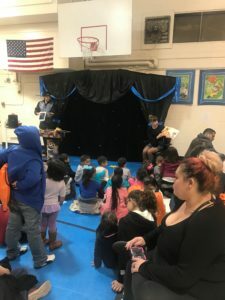 Read2Kids, which is free and open to the public, puts free books in the hands of children and encourages reading aloud with their families or teachers. Not only is reading a vitally important family activity, it’s a vitally important life skill. One critical factor in determining a child’s school readiness is a child’s exposure to language and reading. Since the Junior League started Read2Kids JLD members have volunteered thousands of hours and given away more than 10,000 books to children in the Metro Denver area. This year, JLD volunteers anticipate giving over 3,000 books to more than 1,250 children and families. In addition to receiving books, participants will have the opportunity to hear stories read by local celebrities, authors, and firefighters and participate in a variety of fun activities, such as face-painting and balloon making. There will also be plenty of refreshments and entertainment on hand, from a magic show to arts-and-crafts to story time with the Denver Public Library. The JLD gratefully acknowledges a $5,000 grant from Buckingham Strategic Wealth for Read2Kids. Thank you for your support!